St. Michael the Archangel, the guardian angel of Israel, defender of the Holy Church, the Prince of the Heavenly Host, and the Captain of the Angelic Armies. 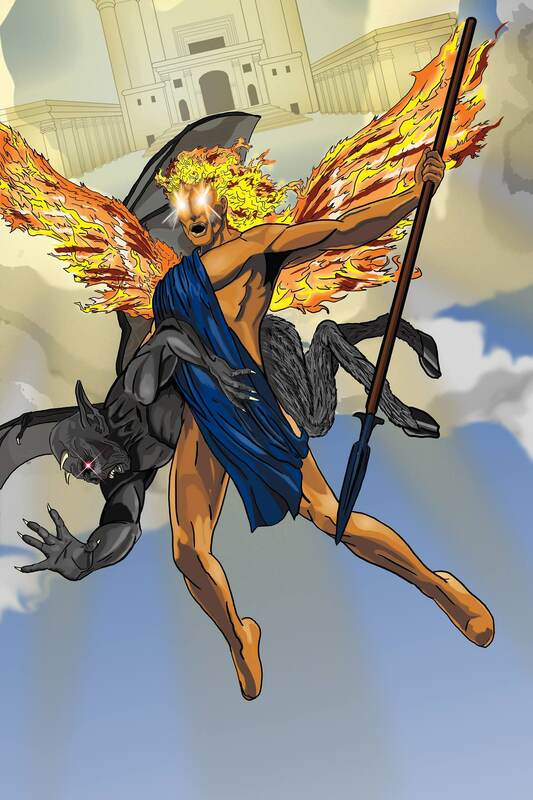 It was St. Michael who stood in defiant opposition to Satan at the beginning of time. When the ancient serpent tried to set himself up as god and declared "I will not serve!" St. Michael replied "Who is like unto God?" and through God's power led the angelic hosts against Satan and cast him and his defiant angels into the pit. For centuries Christians have recommended themselves the intercession and protection of St. Michael and this poster makes a great gift for those with a devotion to St. Michael the Archangel. Be our protection against the wickedness and snare of the devil.